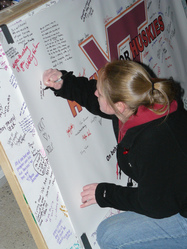 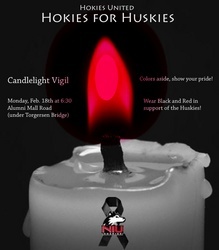 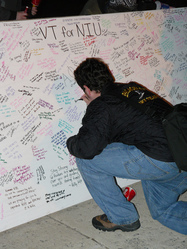 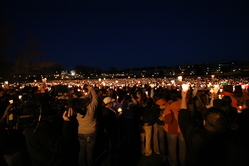 View of Virginia Tech&#39;s candlelight vigil for NIU on Monday, February 18, 2008. 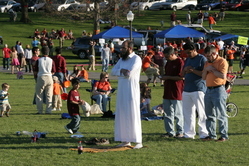 The event took place on Alumni Mall near Torgersen Bridge. 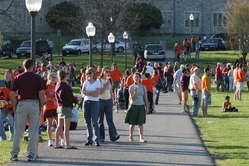 The War Memorial pylons are visible in the center background. 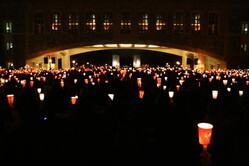 Participants hold up candles during a Virginia Tech vigil for NIU, held Monday, February 18, 2008. 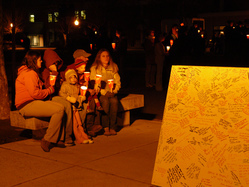 Attendees wait along alumni mall for the start of a Virginia Tech candlelight vigil for NIU on Monday, February 18. 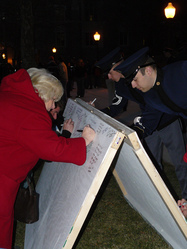 A message board sits in the foreground. 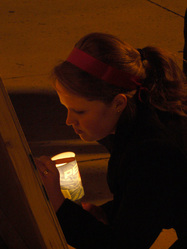 A group of women gather in a circle at the April 21 community vigil/picnic on the drillfield. 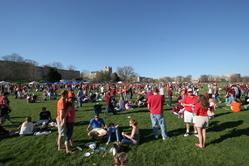 View of the April 21 community vigil/picnic on the drillfield. 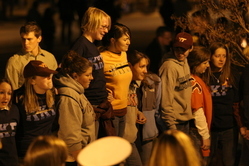 Students gather around a makeshift memorial in front of Burruss Hall on April 17. 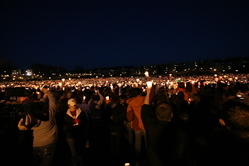 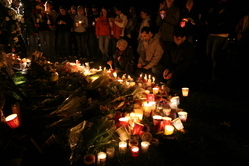 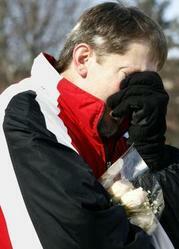 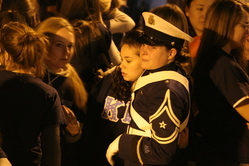 A massive candlelight vigil was held on the drillfield the same evening.